A speed camera reform bill sponsored by senator James Brochin has been approved by the Senate Judicial Proceedings Committee with amendments. Senate Bill 207 would require speed camera images to "provide sufficient information to allow for the calculation of the speed of the motor vehicle during the interval between the two time-stamped images.". 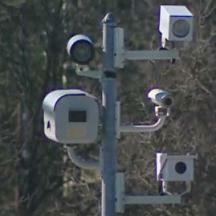 Many speed camera programs, including the Maryland SafeZones program, round off the timestamps to nearest second, making it impossible to compute speed and determine whether errors took place after the fact. Other speed camera programs (including those run by Optotraffic) round timestamps off to the nearest tenth second and then argue in court that citation images cannot be used as evidence of speed. This argument is sometimes accepted by some judges who have openly stated that they would not allow any defense challenging the accuracy of the device. Since SB207 specifically states that the purpose of images is to verify speed, it would hopefully prevent this type of denial of due process. The bill also changes the wording of an existing ban on "bounty system" contracts. Current law forbid contractors who "operate" speed cameras from receiving a cut of each ticket issued, however this provision is being ignored by MOST local speed camera programs in the state, who simply do not use the word "operate" to describe the responsibilities of the camera contractor which owns, maintains, and substantially controls the equipment. Even Governor O'Malley recently acknowledged that this violated the intent of state law. SB207 clarifies the language to close this "loophole". The legislation was prompted by revelations of abuses and errors by speed cameras. This includes admissions that speed cameras deployed by camera contractor Xerox Corp has issued erroneous citations, evidence that large trucks were traveling only half the speed they were accused of by speed cameras, and that speeding tickets were issued to stationary vehicles. The equipment involved in these events produced errors even when all "manufacturer specified" calibration tests passed, demonstrating that existing requirements for testing of speed cameras under state law do NOT prove accuracy. The same contractor runs programs for the SHA and Montgomery County, and the same type of equipment which produced these errors in Baltimore City is currently deployed in Baltimore County and Rockville. The bill was amended before passing the committee to remove a new requirement that school zones cameras be placed within 500 feet of the grounds of a school. A new requirement that roads be painted with lines to facilitate the calculation of speed was also cut from the bill before the committee vote. Unpaid private citizens came to a Feb 20 hearing to support Brochin's Bill, including a college professor, radar expert, and a whistleblower from the SHA SafeZones Program, as well as a representative from this site. Representatives from the speed camera programs of several local governments including Montgomery County, Prince George's County, and Forest Heights were paid with taxpayer dollars to appear in opposition to the reform legislation. The bill must still pass a vote in the senate, a committee hearing in the house, and pass the house in the same form in order to be enacted The House Environmental Matters committee is considering legislation of their own.